Thanks to various technological advancements, nontraditional students can have a relatively traditional high school experience. Homeschooled students, foreign students or students living abroad, professional children, and students unable to attend brick-and-mortar high schools due to anxiety or other learning challenges, can attend an online high school to obtain a high school diploma on their own terms. 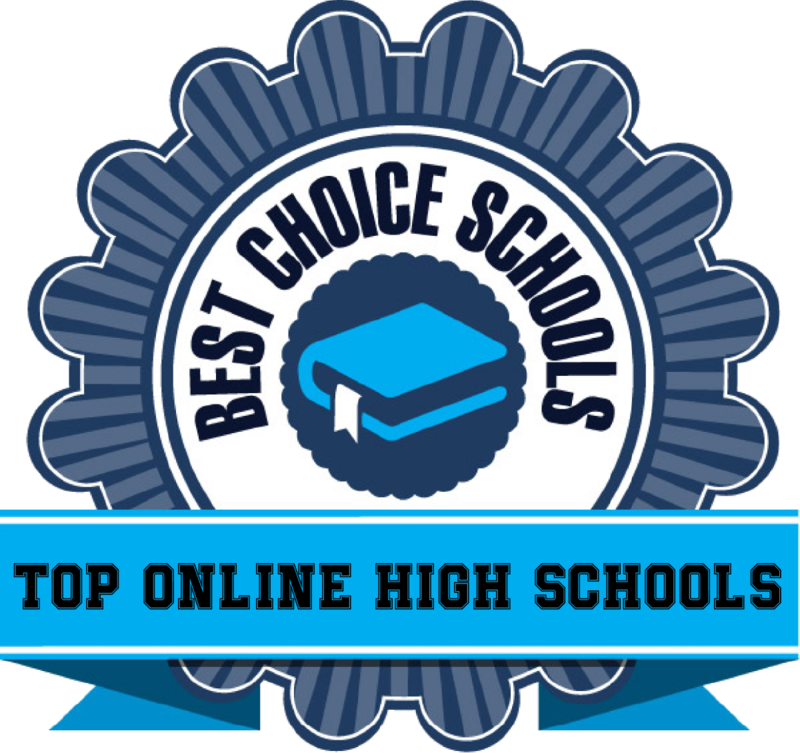 These online high schools are often associated with some of the very best schools in the nation, and offer flexible schedules, self-paced classes, and a variety of course options. Accreditation: Each online high school on our list is accredited via one or more accrediting bodies. Affordability: Though the tuition rates of our listed online high schools vary dramatically, each school has a comparable affordable rate when considered course by course. Number of Courses Available: Each school offers multiple courses that a student can choose from. Course options include traditional classes, honors classes, and Advanced Placement classes. Variety of Degree Programs: Not every online high school student has the same goals, so we included schools that offer a variety of degree programs or tracks. These might include accelerated programs, dual enrollment, honors diplomas, and general diplomas. Reputation: Finally, we took into account the academic reputation of the school from the perspective of both the industry and college admissions counselors. More than 300 courses are available, including a large selection of AP courses. Students have a lot of freedom to develop their educational plans to fit their individual goals and interests. Tuition for Advantages School International is currently $3,950 per year. Students also have the option of enrolling in a single course for $650 per semester. At Alpha Omega, each student’s experience is guaranteed to be flexible and personalized to that student’s needs and circumstances. Whether you’re a high school student looking to for a flexible online environment or an adult needing to earn your high school diploma, Brigham Young University’s independent study program has something to offer you. Students can choose from an extensive list of classes, including AP courses and even some university-level classes for those who want to start working towards college credit. Tuition varies per course, but ranges from $140 to $243 per half credit. University-level courses are $173 per credit. -a highly selective college prep track. Classes are all self-paced and available to students 24/7. There are multiple tuition options. The most flexible and most popular option is $6,495 for a full year of classes. Ninety-seven percent of students who earn their high school diploma from Christian Educators Academy go on to a college or university. This graduation rate is well above the average brick-and-mortar high school. Students can choose from more than 100 online courses as they pursue a diploma that is either college prep, honors or AP, or career or vocational. 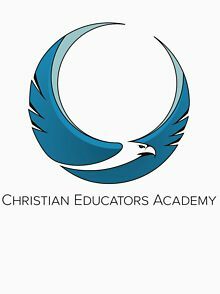 Tuition at Christian Educations Academy is charged per year. It is currently $2,600 for students pursuing the honors/AP diploma, and $2,200 for those pursuing the traditional college prep diploma. 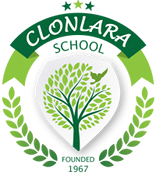 While many online high schools are geared towards students who are able to work independently, Clonlara School offers courses that are fully supported by trained teachers. More than 80 classes are available at the high school level, and students are expected to take at least five courses each semester. Besides traditional courses, there are honors classes, ACT and SAT prep courses, and even career exploration courses. Students are also expected to build a portfolio of best work and complete a certain number of community service hours before graduation. Tuition runs $3,650 per year for students taking the recommended five courses per semester. Excel is one of the best online high schools. It is also one of the most affordable. Rather than traditional tuition, students pay a subscription fee of $90 per semester. This allows them to take four core and/or elective classes per semester. Break it down and that adds up to about $112 per course, including textbooks. About 30 high school-level classes are currently available. Each is taught by a teacher holding a master’s degree or higher in the subject they teach. Best of all, Excel High School is flexible, allowing students to enroll full time, part time, or course by course. 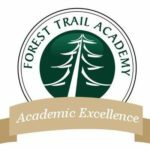 Forest Trail Academy is a great choice of online high school for students who don’t want to spend the traditional amount of time in areas they know well. Forest Trail’s self-paced curriculum includes 50 courses. It allows students to breeze through their easier subjects while focusing more time on challenging areas. Forest Trail also works one-on-one with each student and their family to create a program that best suits the student’s needs and academic desires. The current tuition rate is $2,950 per grade level. Franklin Virtual High School is a fully accredited, fully online high school. It offers students a traditional high school track, independent study, or prep classes in anticipation of the GED, ACT, and SAT. Rather than charging tuition per course, Franklin Virtual High School charges a monthly fee of $185. Greenways Academy has a rolling admissions system. 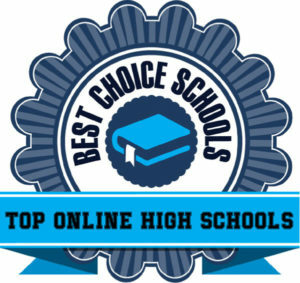 This means students may opt to pursue their high school diploma at this top-ranked online high school whenever is most convenient for them. Students also have the option of enrolling full time, part time, or just a course or two. More than 100 high school-level courses are available. In each class, students have the option of one-on-one interaction with their teacher. Current tuition ranges from $360 to $475 per self-paced course. In addition to its many brick-and-mortar locations throughout the state of California, Halstrom Academy hosts one of the best online high schools. Each course is taught by a highly-qualified teacher and tailored to fit the student’s individual needs. To graduate, students must complete a series of self-paced classes totaling 220 credits, pass a competency exam, and turn in an Expected Schoolwide Learning Results essay. No matter what a student is looking for, it’s likely available through International Connections Academy. This fully accredited online school offers more than 200 high school-level courses. Many of these are Advanced Placement and honors. Ambitious students even have the chance complete high school with an associate’s degree from University of Maryland at University College. They do this by choosing from a variety of accelerated dual enrollment courses. Students enrolled at International Connections Academy even have the unique opportunity to join clubs and volunteer organizations. Current tuition rates are $5,842 per year. International Virtual Learning Academy is an online private school for students in kindergarten through grade 12. High school students can tailor their education from more than 350 courses. These include a number of honors, AP, and standards-based from both secular and religious perspectives. In short, International Virtual Learning Academy allows students to find exactly the education they seek. There are also adult learning and GED tracks available. Though tuition varies depending on a student’s needs, expect to pay approximately $430 per course per year. The high school currently offers students more than 40 courses. While there isn’t too much to choose from in terms of class selection, students do have the option of completing their courses either a traditional or college preparatory level. Students may opt to work towards a degree for $1,374 per year, or purchase classes individually for $250. K12 International Academy seeks to bring “individualized learning to all kinds of minds” by “removing barriers that keep children from reaching their true potential.” To achieve that goal, K12 offers students an affordable curriculum of easy-to-access, self-paced classes. There are even student clubs in which K12 students from all around the world are members. Students taking a full course load of six credits pay a tuition of $6,995 per year. The Keystone School offers online high school students a range of flexible options as they pursue their diploma. Students may enroll at any time thanks to Keystone’s rolling admissions policy. They can then choose from more than 170 courses that include everything from six languages to courses focusing on life skills, to Advanced Placement classes. Students always have access to instructors as they work through their courses at their own pace. Full-credit AP courses cost $499 per course. Core and elective courses range from $399 to $499 depending upon the subject. Laurel Springs offers its students the best of both academic worlds. It’s a flexible online program that also provides one-on-one teacher/student relationships. This is partly because Laurel Springs allows students to personalize their course of study to match their individual goals and interests. This is a unique feature in an industry that is often more procedural than creative. An extensive list of electives includes everything from digital photography, forensic science, veterinary science, and history of the holocaust, to name a few. Over 90% percent of Laurel Springs online students are admitted to their first-choice college. To graduate, students must complete 23.5 credits. Tuition varies based on several factors, but generally runs $690 for a college prep course, $790 for an honors of lab-based course, and $990 for an Advanced Placement course. Students interested in pursuing a uniquely Christian curriculum can enroll in Liberty University’s Online Academy. Each course is taught from a biblical perspective. However, students may choose from a variety of learning formats to best suit their needs and learning style. General Education students must complete either 26 credits. Advanced Studies students must complete 30 credits. Tuition averages about $500 per course. Courses include American Literature, Creative Writing, Spanish, History of the Constitution, and many more. -a special services program which is tailored to fit a student’s individual needs. -choosing from traditional courses or Advanced Placement. Students taking two or more classes pay a monthly fee of $199. 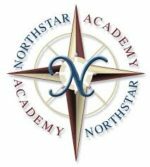 Students in grades 4-12 have plenty of options when it comes to Northstar Academy. This fully online Christian school offers both parent-led and teacher-led tracks, so homeschooling students can find the right instruction level to suit their family. Additionally, a school year can be started at any time, providing even further flexibility. Tuition for teacher-led courses averages $390 per semester, or $590 for the year. High school students can choose from more than 200 classes. Many of these are offered at the AP level or as dual credit. Oak Meadow School is an online high school ideal for the imaginative student in need of a flexible program. Students can complete their required courses via Oak Meadows homeschool-specific program, or a teacher-led online program. Either way, classes are varied, fun, and self-paced. A number of unique courses are available for credit, including classes on chess, programming and web design, and more. 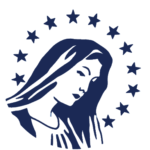 Through The Oaks Private School, students are able to experience a uniquely Christian education entirely online for less than a traditional private education. Yearly tuition at The Oaks ranges from $2,650 to $2,850, depending upon whether the student wishes to pursue a traditional college preparatory track or an honors track. In either option, students have nearly 100 courses to choose from. 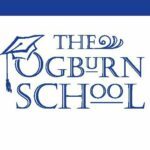 Through The Ogburn School, students can get as close to a traditional high school experience as is possible through an online academy. The self-paced curriculum allows high school students and adult learners to choose from 45 courses, plus a senior capstone project. Uniquely, students interested in environmental studies can choose to “concentrate” on it. Otherwise classes follow the Florida state educational standards. Tuition rates begin at $1,295 per year, depending upon courses and programs. -a traditional high school track with college-level courses. 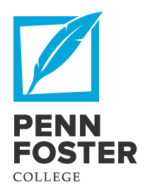 Regardless of track choice, Penn Foster High School is flexible and affordable. Each course costs about $125. Sevenstar Academy provides a Christian education to online students. It offers nearly 200, which are rigorous, Students may also opt to take honors, Advanced Placement, or dual credit courses as well. Students are also required to complete at least 40 community service hours per year. This is part of Sevenstar’s overall curriculum that aims to teach students to “think critically in the context of a Biblical worldview.” Tuition is charged by course, and ranges from $429 for a single-semester course to $629 for a dual credit course. Students in kindergarten through grade 12 can attend school via the fully online Texas Tech University Independent School District. High school students have more than 100 classes to choose from. They can enroll full-time to seek a diploma or take a single course to supplement a homeschooling curriculum. Students also have the option of receiving credit for the things they already know, which accelerates their program. Each online course costs $180. The school offers a long list of classes, along with an excellent reputation for providing an individualized approach to learning. More than 100 online courses are available to students, including a number of Advanced Placement classes. Students can also take classes in psychology, sociology, and politics as part of a dual-enrollment program with University of Nebraska. Average tuition runs $150 per class for Nebraska residents, and $200 per class for non-residents. 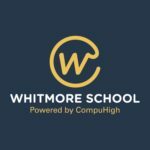 Whitmore School’s parent institution, CompuHigh, has been offering flexible education since 1994. It has the unique distinction of being the world’s first online high school. Students can choose from an 18-credit General Studies Track or a 22-credit College Prep Track. Either way, students can choose between a wide variety of self-paced courses and can complete up to six credit per year. Whitmore’s classes are available 24/7, so students on any schedule can complete their work when it’s convenient. Wilostar 3D Interactive Academy is a favorite online high school among homeschooling families due to its use of 3D classrooms. Students feel as if they’re in an actual classroom setting. Because of Wilostar’s unique set-up, students must attend class online at the required time, where they are taught by qualified teachers and participate in class discussions. Class are twice a week. The long list of courses includes foreign languages, creative writing, 3D geography, technology, art, and health, among many more. Annual tuition is $2,999, and a payment plan is available.